The second annual The Durango Voice competition began Feb. 26, with 13 singers qualifying for the finals, which will be held April 1. The event is a fundraiser for Manna. 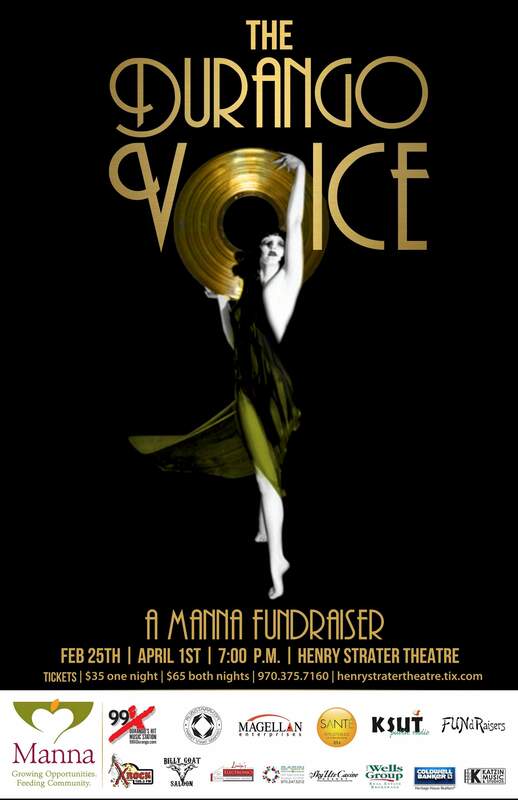 Phase 1 of The Durango Voice was held Feb. 25 in front of a sold-out crowd at the Henry Strater Theatre. Benefiting Manna, it was a great evening of entertainment, with music from Patsy Cline and Adele to Big Band and original compositions. The judges – Kevin Bell, Caprice Fox, Jill Holly and Nuriya Akers – had their work cut out for them, eventually moving 13 singers into the finals. The judges will coach their singers over the next month before the April 1 finals, which I guarantee will be a hot ticket. Finalists are Maya Johnson, Delaney Kehm, CV Wells, Celeste Moore, Janet L. Peterson (who sang one of my all-time favorites, “I’ll be Seeing You”), Kayla Christensen, Daniel Russell, Julie Hartline, Davin Wills, Elle Caldwell, Sophie Maja Hughes, Susan Givens and Gyana B. Gomar. Tickets are $35, and are available at www.henrystratertheatre.tix.com. HHHCheck back at durangoherald.com for more Neighbors stories and photos. Click on the word “Neighbors” to make sure you haven’t missed any stories. Neighbors runs in the Sunday print edition of The Durango Herald.Here’s how to reach me: neighbors@durangoherald.com; phone 375-4584; mail items to the Herald; or drop them off at the front desk. Please include contact names and phone numbers for all items. Follow me on Twitter @Ann_Neighbors.I need photos for all Neighbors items, but they must be high-quality, high-resolution photos (at least 1 MB of memory) and include no more than three to five people. I need to know who’s who, left to right, and who to credit with the photo. Candid photos are better than posed, and photos should be submitted as JPG or TIF attachments.